My mom has decided to sell off her antique button collection – so I decided to join her and sell postcards! 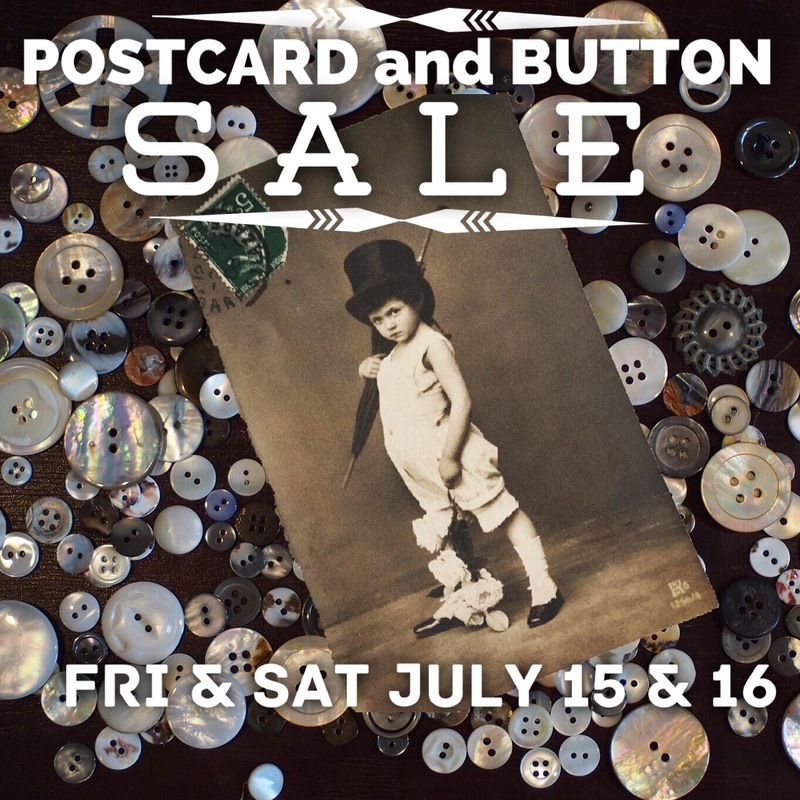 It's a yard sale – with a very specific theme… buttons (with some vintage sewing supplies) and postcards (with some mail related ephemera). * BUTTONS: antique and vintage, brass, glass, bakelite, shell, wood, plastic, rhinestone, sets, cards, some vintage sewing supplies, antique treadle sewing machine wooden cabinet and metal base (no machine) – button collectors dream! This entry was posted in Saturday Market and tagged Max & Co Post, SALE, seattle, where to buy.